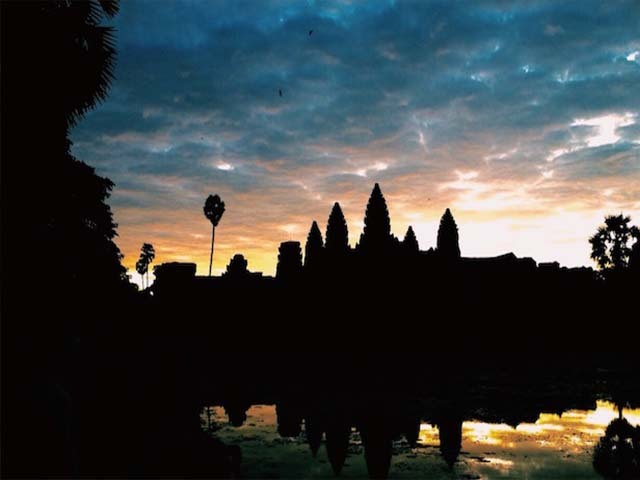 Explore the world famous Angkor Complex today. It is quite impossible to sum up the magnificence of Angkor’s temples in a few lines! Built between the 9th and 14th centuries, the temples are devoted to Buddha and Hindu deities. Here, you will spend the morning exploring one of man's most magnificent creations. Continue to the South Gate of Angkor Thom and the temples of Bayon, Baphoun, Phimean Akas, Royal Enclosure, the terraces of Elephants and the Leper King. In addition, visit the Bayon temple, a highlight within the fortified city of Angkor Thom, the third tier of which is lined by more than 200 huge, imposing carved faces which stare down from 54 towers. . Enjoy your lunch at local restaurant. Next you’ll explore Ta Phrom, which looks just as it did when the French explorer Henry Mouhot stumbled upon it in the 1860s, with its giant roots from the jungle seemingly reclaiming the temple. Return to hotel and enjoy your evening leisure. Early morning visit Tonle Sap, Kampong Kleang village. Imagine wooden houses on 10 meter tall stilts, surrounded by water in the wet season and on the flood plains of the lake in the dry season. You will drive on the dirt road to the village. You will see many wooden houses and traditional fishing equipment as well as children waving hands and greeting you. Learn about the village life while visiting a local school, see the smoking of catfish, and speak to a fisherman. Catch a wooden boat over the river to Tonle Sap. Both sides of the river are lined by floating houses nestled on the great lake. Lunch at local restaurant in town. 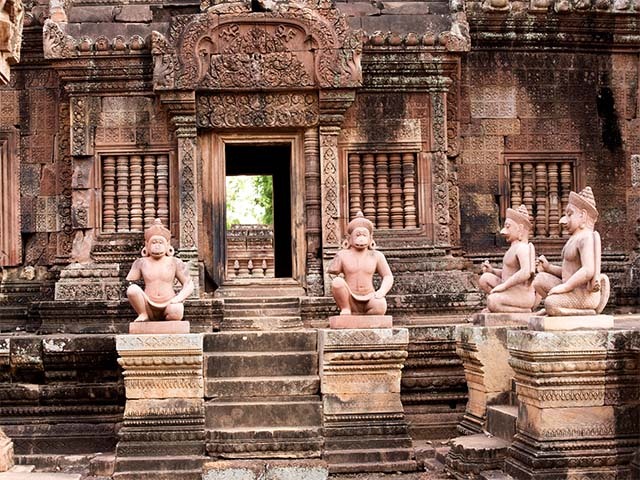 Afternoon, visit Banteay Srey, which for many years was off limits due to its remote location and Khmer Rouge activity. Built in the late 10th century and dedicated to Shiva, Banteay Srey's pink limestone walls contain the best bas reliefs of any temple at Angkor. Pick up at 7am - 4 hours with Quad Adventure Cambodia takes you around Phnom Boc Mountain and its beautiful temple on the top of the hill. The final route can be decided only on the day directly with our tour leaders depending on your interests, your aptitude to ride a quad and the weather (Some tracks and paths can be flooded during the rainy season). Easy routes are chosen for beginners and a bit more challenging routes for experienced drivers. You bid farewell to Siem Reap. You'll be transferred to your hotel in Phnom Penh by bus (6 hours drive). 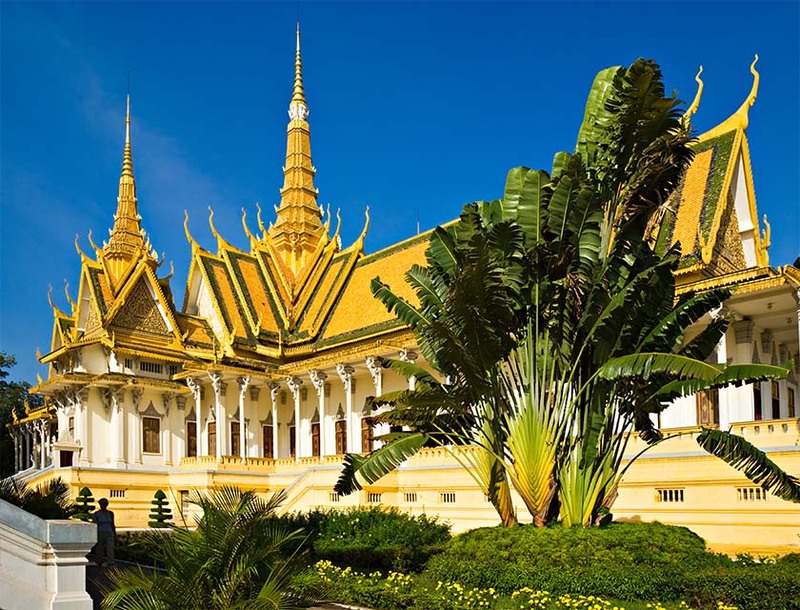 Located at the confluence of the Mekong, Bassac, and Tonle Sap rivers, Phnom Penh has been Cambodia’s capital for most of the last six centuries. It retains a small town feel, with crumbling French colonial buildings, sprawling Wats (as the pagodas are known here), and the impressive Royal Palace and adjacent Silver Pagoda. The riverfront by the Mekong is the most beautiful part of the city and there are a number of good restaurants in which to sample local delicacies such as “amok” and watch the world go by. In the afternoon, if you are interested in shopping, visit Russian market and the Central market. The central market is rumored to have been designed as an Art-deco bus station by the French colonists. The Russian market is renowned to contain a wide selection for souvenirs, as well as everyday items purchased by local Khmer people. After breakfast, you have free time for some last minute shopping. Then you will be picked up from the hotel and transferred to the airport (driver only).